You can cut the post mortises by hand, or use a mortiser or a drill press, fitted with either a mortising attachment or a 1-inch-diameter spade bit, as shown at right. The mortises should start 18 inches from the bottom and 24 inches from the top of the posts. 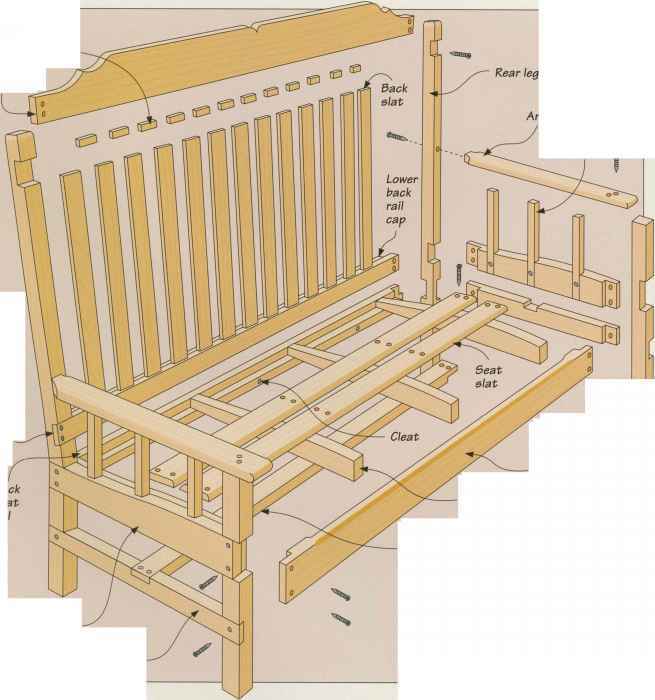 Use the finished tenons to lay out the length and width of the mortises, making sure the outlines are centered on the inside faces of the posts. Then clamp a backup panel to your drill press table and set the post on the panel, centering the outline under the bit. Drill a hole through the post at each end of the outline (right), then bore a series of overlapping holes to complete the mortise. Start building the arbor by cutting the tusk tenons that join the side rails to the post. 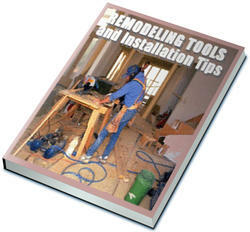 To cut the tenons at the ends of the rails on your table saw, install a dado head and adjust it to its maximum width, and attach an extension board to the miter gauge. Set the cutting height at !4 inch and position the rip fence for a 12-inch-wide cut. Feed the rail face down with one end riding along the fence to define the tenon shoulder. Make a series of passes to complete the tenon cheek, then turn the rail over and repeat the process on the other side. Cut tenons at the other end of the rail and at both ends of the remaining rails. 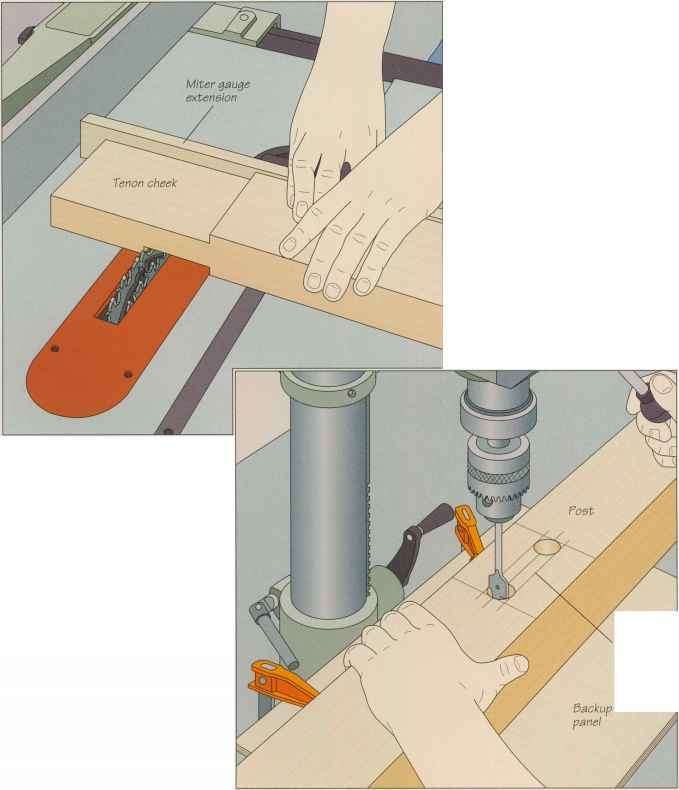 Hold the edge of the rail flush against the miter gauge extension for every pass. Fit the posts and rails together and mark a line along the top of each cheek where the tenon emerges from the mortise. 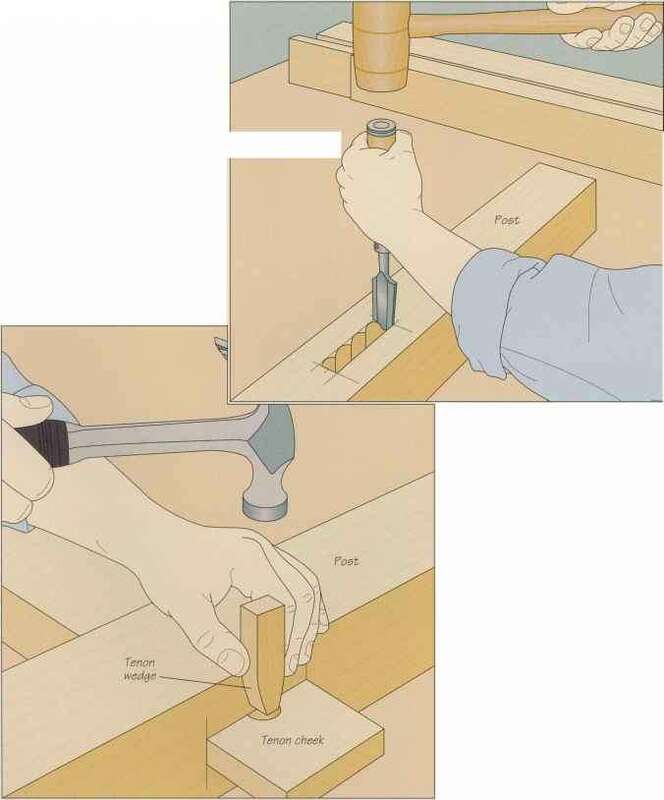 Disassemble the joint and drill a 1-inch-diameter hole through the tenon centered on the line. Cut a /2-by-l-inch hardwood piece into the bullet shape shown at left; make the length of the tenon wedge about equal to the post thickness. Slide the tenon into the mortise and strike the wedge firmly with a hammer until the joint is tight. Square the walls of the mortises using a chisel as wide as the mortises. Holding the chisel vertically, bevel facing the waste, align the tip with one of your cutting lines and tap the tool with a wooden mallet (right). Continue around the perimeter of the mortise until all the waste is cleared away. Test-fit each tenon in its mortise and widen or lengthen the cavity as needed.